Visit the referral page and sign into your account. You’ll find your unique link, which can be automatically shared via email or social media, or copy & pasted wherever else you wish. Whichever method you use, ensure that your friend uses their referral code when placing their first order. Once they’ve placed their order you’ll receive £10 credit into your account. Get hold of your friend’s Huel referral code – if you can’t find it, ask them to email it to you. Enter this code during the checkout process of your first order (make sure to spend over £40). Your £10 discount will be applied once the code is entered and verified. Once your order has been placed your referring friend will receive £10 credit in their Huel account. Now start recommending Huel to your other friends! 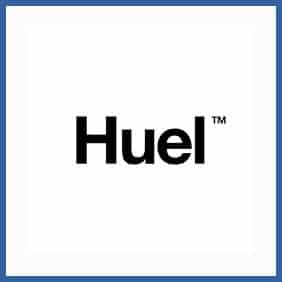 Huel (Human Fuel) is a nutritionally complete source of food that comes in powder form, as well as snack bars and other options. Huel is designed to be convenient, affordable and have minimal impact on animals and the environment. If you’re a Huel user you can take advantage of their refer a friend program to receive £10 off your next order. Your referred friend will also receive £10 off their first order, so long as its over £40.